Is the Taking of Tripoli the Turning Point? The dictatorship of Mu'ammar Al-Qadhdhafi appears to have collapsed; its capital, Tripoli, has been overrun by rebel forces. In the chain of upheavals designated the "Arab Spring," a phase has ended. Conclusion of the brutal civil war in Libya, which broke out abruptly after the peaceful, "social-networking" revolutions in Tunisia and Egypt, would demonstrate that atrocious, repressive action by tyrants may be overcome. Commentators inside and outside the Muslim world now ask what effect the Libyan overturn, even with Al-Qadhdhafi still eluding capture, may have on the other countries marked, after the North African trio, by significant political and social confrontations: that is, in Bahrain, Yemen, and Syria. The island kingdom of Bahrain is, at least superficially, undergoing a "normalization." Saudi Arabian and Gulf Cooperation Council (GCC) soldiers continue to occupy the country. The ruling Sunni dynasty in Bahrain may well have neutralized the Shia opposition. Bahraini Shia leaders, unfortunately, although representing the majority of citizens and proposing moderate changes, also serve the propaganda interests of the Iranian dictatorship in countering Saudi influence. Shia and other candidates have threatened to boycott Bahrain's parliamentary elections, set for next month. A renewal of public protests cannot be excluded. But the political contest in Bahrain, throughout the so-called "Arab Spring" – really, as I have repeatedly written, a "Muslim Spring," since the future of the Islamic Middle East will be settled in Iran – at no point achieved the enduring level of mass mobilization seen in Tunisia, Egypt, Libya, and Syria. Conditions in Yemen, whence the authoritarian ruler Ali Abdullah Saleh withdrew to Saudi territory after an attempt on his life, are disastrous. While Al-Qadhdhafi trumpeted the false claim that his oppressed subjects, having taken up arms against him, were Al-Qaida members, the terrorists of Al-Qaida in the Arabian Peninsula (AQAP), including Saudi extremists "exported" to Yemen by the authorities in Riyadh, have become an important element in the Yemeni panorama of struggle. But Al-Qaida success in seizing outposts in Yemen, reportedly with participation by Somali auxiliaries, has so far elicited little external response beyond the commitment of antiterrorism assistance by the U.S. The Syrian tragedy wears on, as the discontented masses continue their demonstrations against the forces of Bashar Al-Assad, which act cruelly and without restraint against the people. Iran meddles as much or more in Syria than in Bahrain or in Yemen. The last country has a population split about equally between Sunnis and Shias; Yemeni Shias follow the Zaydi tradition, which differs from the Jafari Shiism prevalent in Iran, Iraq, Bahrain, and Lebanon. The absolutists in Tehran are most concerned about the security of their Syrian partner, notwithstanding their expressions of outrage over the Saudi/GCC occupation of Bahrain. Leaving aside Bahrain, which may be fortunately spared a bloody confrontation, it is difficult to imagine that the fall of Al-Qadhdhafi will produce immediately positive effects in either Yemen or Syria. The people of Yemen are faced with a dual task, neither component of which is easily accomplished: defeat of Al-Qaida and achievement of political change. Yemen is liable to remain in chaos for some time. Syria has failed to produce a force capable of challenging Al-Assad's army, and a rebel body with such potential will not come into being simply because Syrian oppositionists or their numerous and righteous foreign sympathizers wish it to be so. The extended bloodletting in the country has as yet shown no sign of a breakthrough by the opponents of Al-Assad or a breakdown within the top ranks of his coterie. In addition, few Arab observers are anxious to admit the main factors in the defeat of Al-Qadhdhafi. These were, first, the brittle, improvised, even ramshackle character of the Libyan social order, and second, the military and diplomatic intervention of the European countries, the U.S., and diverse international institutions that, early on, declared the goal of removing Al-Qadhdhafi. While the U.S. may help suppress Al-Qaida in Yemen, it is doubtful it will take the further step of intervening to erect a new order in that country. And no foreign power – including neighboring Turkey, notwithstanding its recent and unsuccessful rebuke of the Al-Assad cohort – is prepared for military action against Damascus. If the outcome in Libya is, at least in the short term, irrelevant to Yemen and Syria, it could impel positive developments in Tunisia and Egypt. The Libyan rebels who ejected Al-Qadhdhafi from his palaces have a great responsibility, and if they act correctly on it, their decisions could change the direction of events in Tunisia and Egypt. Even without the need to combat a malign force like Al-Qaida in Yemen, revolutions typically possess two phases: defeat of the hated, old order, and construction of a new way of life. While the leaderless, "spontaneous" nature of the "Arab Spring" could once have been proclaimed as a harbinger of libertarian, limited government, such a result is doubtful at present. Tunisia and Egypt have removed their dictators and promised free elections (in October 2011 in the first case, and to be held by November 2011 in the second). But both have seen advancing influence by local branches of the Muslim Brotherhood (MB). The Tunisian Renaissance Party and the Egyptian Freedom and Justice Party, as MB political fronts, benefit from the long and sustained efforts of the Brotherhood to establish itself in the collective mind as the best-organized alternative to personal autocracy in the Arab lands, through imposition of an Islamic state. The MB is also a force that cannot be ignored in the Syrian turmoil. The North African MB parties – especially the Tunisian exemplar – have studied the successful course of the Turkish Justice and Development Party (AKP) under Recep Tayyip Erdogan. They seem bent on imitating the AKP, by transforming the Tunisian and Egyptian MB from mass movements of the dispossessed, suffused with radical rhetoric, into pseudo-centrist parties standing, at least in their electoral programs, for entrepreneurship, accountability, popular sovereignty, and, in Turkey, restriction of military authority. But the AKP has never completely renounced the legacy of the conspiratorialist Milli Görüş (National Vision) network, which introduced a new Islamist politics in Turkey during the last quarter of the 20th century and is affiliated with the MB, and the Egyptian MB will not break its links with Hamas in Gaza. Quite the contrary, Egypt now seeks to act as a broker between Hamas and the Israelis. Post-Mubarak Egypt has also generated a virulent Wahhabi ("Salafi") trend that competes with the MB as a proponent of extremism. Once Al-Qadhdhafi's personal fate has been settled (probably in the form of escape to another country), and the wreckage and rubble of a successful revolution has been cleaned up, the people of Libya will have the opportunity to create a post-revolutionary political spectrum in which, although the MB, the Wahhabis, and the terrorists of Al-Qaida may be present, non-Islamist trends may likely appear to challenge religious fundamentalism in all its manifestations. One aspect of Libya's current social environment is seldom-mentioned but crucial: Libyans, like Saudi and Iranian subjects, have had enough of radicalism. Like the Saudi Wahhabi establishment and the Iranian clerical apparatus, Al-Qadhdhafi subsidized a distinct form of Islamist ideology, represented by the "World Islamic Call Society," and engaged in open terrorism against the West (remember the Pan American flight 103 aircraft bombing over Lockerbie, Scotland, in 1988). Libyans appear very much to want to put all such adventures and experiments behind them. Of the Arab states, Qatar has been the most active and generous in assisting the Libyan rebels, but has so far given no indication of an Islamist ideological intent. Turkey has also donated to the anti-Qadhdhafi front, notwithstanding the past close relationship between the Libyan ruler and Erdogan. Turkish aid to Libya could, with the AKP in government, stimulate some Libyans to support the local MB. But according to Daniel Dombey, writing in the London Financial Times of August 24, Turkish involvement in Libya has been driven, at least in part, by frustration at Turkey's failure to moderate the repressive actions of Al-Assad. Turkey had originally balked at the NATO mission against Al-Qadhdhafi, but the AKP leaders now hope that the Libyan opposition will prove more receptive than Al-Assad to Turkey's ambitions for a new role in Arab affairs. Above all, by repudiating, rapidly and firmly, the MB, the Wahhabis, and Al-Qaida, and setting up new and transparent political parties, interest groups, and institutions, Libya could provide a useful example of an alternative to Islamist politics for Tunisia and Egypt. A later impact of a Libyan model for "civil society" in Yemen and Syria may be a remote possibility, but cannot be excluded. Finally, I have written on several occasions about the heritage of the Senussi Sufi order, which is deeply implanted in the population of eastern Libya. The head of the order, Sayyid Muhammad Idris bin Muhammad al-Mahdi as-Senussi (1889-1983), was, as King Idris, the first and only monarch of independent Libya, ruling from 1951 until his ouster by Al-Qadhdhafi in 1969. 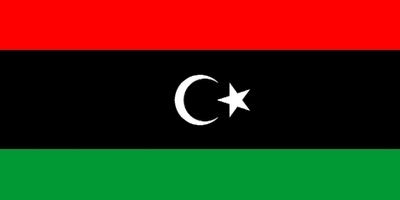 The Libyan opposition adopted the red-black-and-green flag of the Idrisi state as its banner, including its Senussi Sufi symbolism, represented by a central black stripe with a crescent and star. The monarchist standard was raised at Libyan embassies across the globe last week, replacing the plain, pseudo-Islamic piece of green cloth adopted by Al-Qadhdhafi. Opponents of Al-Qadhdhafi have also carried portraits of King Idris to demonstrations inside Libya. The Senussi order is known in the history of Sufism for its energetic rejection of strict obedience to the rulings of Islamic jurists, as well as its disapproval of Wahhabism. These precedents are promising for the future of the new Libya. But the Senussi Sufis themselves, notwithstanding their deep roots in the country's history and the credibility implied by revival of the monarchist flag, have disclaimed any interest in restoring a Senussi kingdom. An Agence France Press interview with Senussi Sufis in Benghazi in April 2011, widely published under the title "Moderate Libyan Sufis insist they are not Al-Qaeda," discounted a significant role for the Senussi order in the revolution, describing it as a "declining brotherhood." But, the report affirmed, "its members support the ideals of the rebellion and want nothing to do with a return of the Senussi monarchy." AFP quoted 51-year old Senussi devotee Fatheh al-Ammari, who said, "We do not want a return to monarchy, but a democratic Libya." Even if the fall of Al-Qadhdhafi fails to speed "instant" positive shifts in Yemen and Syria, the rapid emergence of an authentically pluralistic system in Libya might divert the sequence of Arab revolutions from a declining curve. It might even reawaken the movement against the Iranian regime – the key to all progress in the Muslim lands.